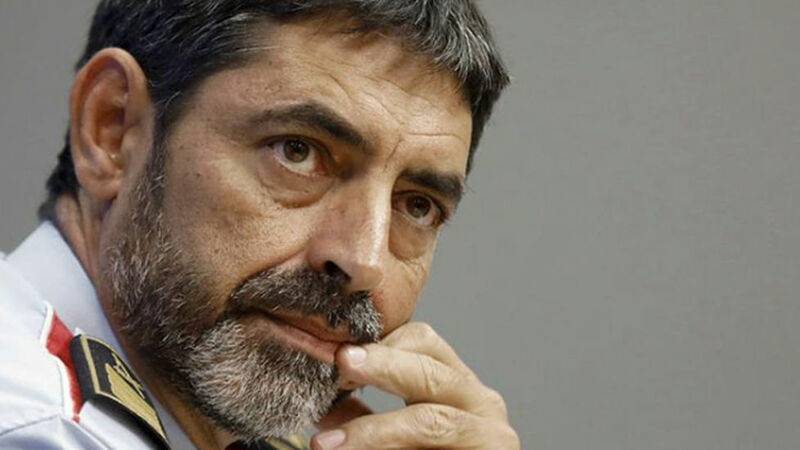 Today, Catalonia’s Regional Police Chief Josep Lluis Trapero is to appear before the National Court in Madrid on sedition charges. Today, Catalonia’s Regional Police Chief Josep Lluis Trapero is to appear before the National Court in Madrid on sedition charges. The case is part of the national government’s attempts to punish Catalan leaders following Sunday’s independence plebiscite. With Catalonia threatening to unilaterally declare independence, the Rajoy government has pondered enacting Article 155 of the Spanish Constitution, disbanding the Catalan government and placing the region under direct federal control. Associated with the Franco dictatorship by many, a unilateral invocation of the “nuclear option” would paint Rajoy’s People’s Party as autocratic. Unfortunately for the PM, Socialist support for invoking Article 155– a necessity given the administration’s minority in parliament–has dwindled following harsh international condemnation of Madrid’s violent response to Sunday’s referendum. According to the regional government, almost 900 people were injured. The Catalan parliament had planned to formally declare independence from Spain on Monday, but its session has been suspended by the Spanish constitutional court. Even if it doesn’t happen on Monday, the Catalan parliament is unlikely to forgo declaring independence. As such, Rajoy might have no choice but to soften his stance and accede to talks with the regional government.